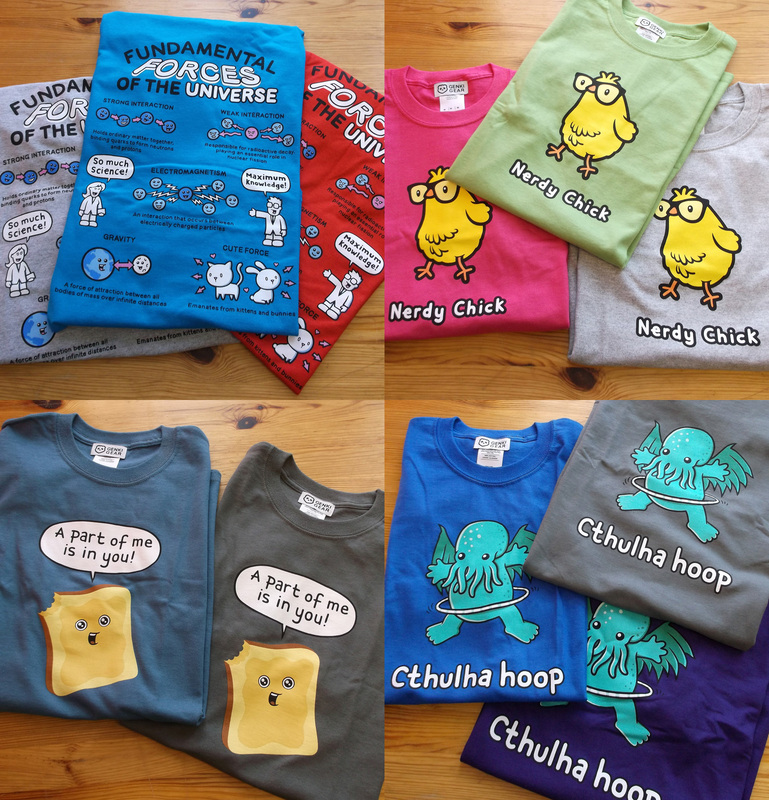 If you’re a UK convention fan, then you’ll be pleased to know that the geek-tastic Genki Gear now have all their exclusive convention T-shirts plus 4 new awesome designs and a new Japan range all available to order via their website. 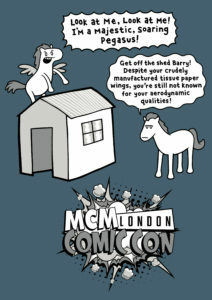 You can get the official MCM London Comic Con tee, as well as Wales Comic Con and Nine Worlds official convention T-shirts. 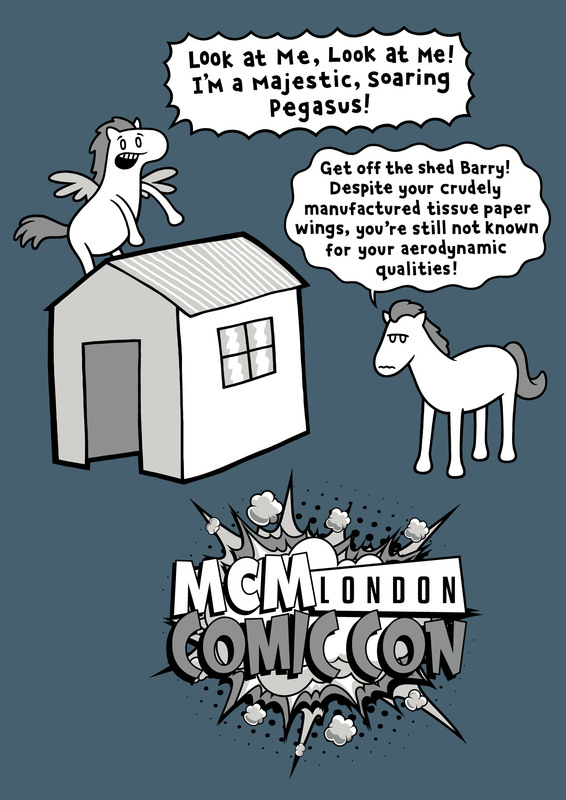 Convention T-shirts are available in both men’s and women’s sizes with the official MCM London Comic Con T-shirt showing the latest adventures of Barry in Barry the Pegasus T-shirts. • “Nerdy Chick” available in Unisex and Women’s in Pink, Kiwi and Sport Grey plus a hoodie and Kids t-shirts.